Last winter, I had the misfortune of arriving in Huldramose just as winter settled in. If there’s anything worse than a bog, it’s a half-frozen bog. I’d come with a purpose, however. My home, at least for the past few years, was one of many scattered villages along the fjords of Trollheim, but the residents of two of those villages had been killed to a man, torn apart by wolves—and other things, though we knew not what. What’s more, the jarl was found dead, not from animal bites like the others but with his own son’s sword buried in his guts. 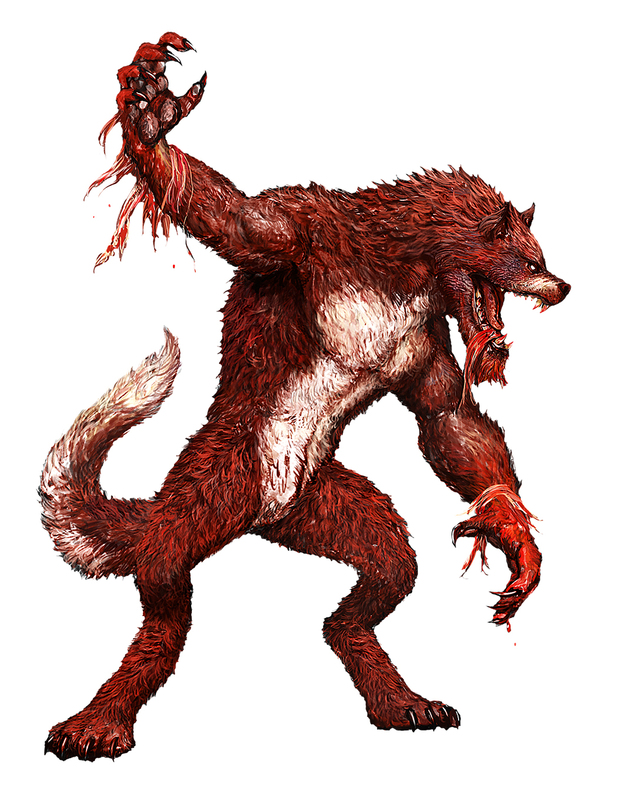 In my search for answers, I came across mention of a creature capable of leading wolves in this way, a creature also associated with beings called “falsemen,” who wear the faces of those they’ve slain. The creature was first described to me by skraeling nomads, and I could not pronounce it in their tongue, but eventually I came across another name for it: the nightgarm. So I came to Huldramose, to seek out a man I was told had written of a similar creature. I sent word to him, offering to pay for his time, so we arranged to meet in a tavern. The old man wore a bandage tied across his face, concealing the wound where his nose ought to have been. The bandage also covered his right ear, which was also missing. Judging by the missing portions of his other ear, he’d lost these features from frostbite. He wore a cloak of wolf pelts, dark woolen breeches, a grey linen tunic, and tall leather boots, which I supposed contained less than the usual number of toes. The cold had spared his fingers, all present. His mismatched eyes, one green and one blue, seemed to lose focus as he stared in the general direction of the tavern’s entrance. “Yes, I can tell you about the wolf-demon,” he said before pausing to drink from the clay mug before him on the table. “Seven longships sailed away the summer before, carrying the warriors of five nearby settlements, so the sight of a single ship returning was not what had been hoped for, but everyone inside the wooden walls dropped whatever task they were about and came hurrying to the shore. Some muttered prayers, some cheered, but most craned their necks forward, squinting against the sunlight in hope of recognizing those who pulled the oars toward the dock. There were but six oars in the water, which in itself brought some cursing, but cheering broke out when they backed oars and shipped them, and the lines were secured. None other than Einarr Tangle-Hair, the missing jarl and a relation to many on the shore, leapt from the ship to the dock, arms stretched wide for the wife and children racing toward him. Those who followed were his four loyal huskarls, Strutting Harald and Ox-Bjorn among them, three holders of nearby farms subordinate to Jarl Einarr, and four others who worked those farms for pay, all familiar to most on the shore. A chaotic celebration broke out, and everyone made for the longhouse, Einarr in the lead, while others ran here and there to prepare for a feast. The merriment went on well into the night. He paused a moment, draining his mug and gesturing to the tavernkeep for more ale. He looked me in the eye for what I think was the first time and continued his tale. “What those farmers didn’t know was their jarl and his men were not what they seemed. They were falsemen, creatures who take on the shapes and memories of those their mother devours. You see, the returning warriors were killed somewhere by the beast, and when she ate them and learned everything about them, she birthed her falsemen and led them back to the village. This small leather bag marked with the mannaz rune (Deep Magic 2: Rune Magic) holds several finger bones from a falseman. Once between long rests, the wearer of a falseman’s charm gains advantage on Charisma (Deception) checks for 1 hour. When the falseman’s charm is used, the wearer suffers disadvantage to Wisdom (Insight) checks until completing a long rest.